Over the last 7 years, one of the major developments that has revolutionized and disrupted the entire financial sector in Ghana is the emergence of Mobile Money Services (MoMo). Though MTN launched its Mobile Financial Services (MFS) in 2009, many Ghanaians were yet to warm up to it as a safe mode of payment in 2012. Amazingly, there were a lot of skeptics and many industry watchers had different opinions as to the operationalization and safety of the service, despite the success story in East Africa. Many experts were of the view that Telcos were either in competition or takingover commercial banking in Ghana. No wonder it took the issuance of mobile money guidelines by the Central Bank of Ghana in July 2015 to support industry players. A lot of people have misconstrued Mobile Banking to be the same as MoMo. The two have distinct characteristics – MoMo does not require the user to have a bank account whereas Mobile Banking does. Again, mobile money is usually targeted at the unbanked with low transactional costs but Mobile Banking is aimed at the banked with relatively high transaction costs. Although, the concept of mobile money stays the same, it can take different intrinsic meanings and strategic position depending on the market. From a developed world, mobile money is just a convenient, alternative channel of payment that uses smartphone technologies to obtain financial services. In developing economies like that of Africa, mobile money represents one of the main alternate channels to get financial services to the unbanked. This involves the use of ubiquitous technologies such as mobile GSM networks to deliver financial services where traditional banks are not accessible. The development of Mobile money in Ghana has been very phenomenal, demonstrating astronomical growth year on year. 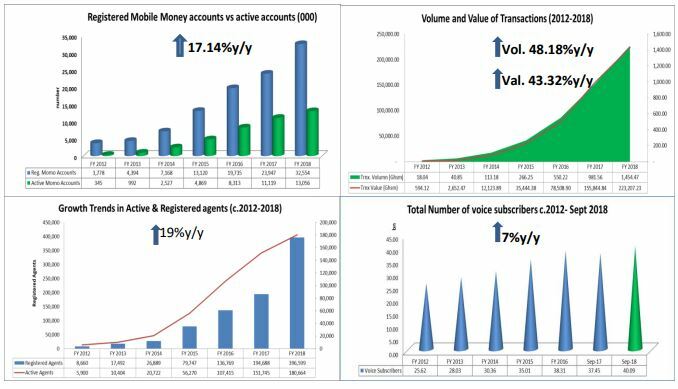 Registered mobile money accounts across the three major Telcos have – for the first time, outstripped the country’s total population; a development that portends future growth in the mobile money space. In this article, I will try to give some perspective on the roles Commercial Banks, the Financial Technology (Fintech) companies and the Mobile Network Operators (MNOs) play in delivering mobile money services to individuals and corporate organisations. The major MNOs who issue e-money include MTN (MTN Mobile Money Services), Vodafone (Vodafone Cash) and AirtelTigo (AirtelTigo Commerce). The latest statistics from Bank of Ghana`s payment systems , shown in Figure 1 below, show that the registered number of mobile money accounts increased from 23.9m in 2017 to 32.6m in December 2018. This represented an increase of 35.96% over a one-year period. Given Ghana’s population of 29.61m, based on projections from the Ghana Statistical Service (GSS) and the Population Council there are currently over 374,253 more registered mobile money accounts than citizens; a huge increment in the number of subscribers since 2012. Several experts have lauded the surge in mobile money usage, noting that mobile money has deepened financial inclusion and has, for the first time, brought millions who were not banked into the banking and formal financial sector. In May 2017 government went a step further to launch mobile money inter-operability which allowed the transfer of money from one network to another without going through a third party or agent. The volume of transactions increased by 48.12% to 1.5bn and the value of transactions increased to GHS223.2bn (from 2017 figure of GHS155.8bn), representing a 43.22% year on year. A big boost was seen in the number of registered agents inching up by more than 100% to 396,000. With such huge figures churning out, the debated question remains whether mobile money taxation would be justifiable? I will leave that for discussion another day. Figure1. Mobile Money trends in Ghana. Source: Bank of Ghana payment statistics. Following the growing interest in the mobile money space, guidelines for E-Money Issuers in Ghana (EMI guidelines) and Agents guidelines were published in July 2015 to cover financial institutions regulated under Act 673 as well as other institutions that desired to issue e-money. These Guidelines were being issued as part of Bank of Ghana’s broader strategy to create an enabling regulatory environment for convenient, efficient and safe retail payment and funds transfer mechanisms. It also aimed to promote the availability and acceptance of electronic money as a retail payment medium with the potential to increase financial inclusion. They also sought to specify the necessary safeguards and controls to mitigate the risks associated with e-money business and to ensure consumer protection. The key highlights of the EMI Guidelines were as follows: The e-money float of every e-money issuer shall be held in trust for the e-money issued. This meant that, technically, only special deposit taking institution such as the commercial banks would be mandated to keep the floats on trust accounts and not the Telcos. The floats shall also not be comingled at any time with the funds of any natural or legal person other than the e-money holders on whose behalf the funds are held; and be held in either individual or pooled accounts with one or more universal banks in Ghana. In the midst of all the banking sector crises where the Bank of Ghana increased regulatory capital requirement from GHS120million to GHS400million, the number of banks decreased from 35 to 23. The question that kept many people awake was how the e-money on wallets was saved with collapsed, downgraded or merged banks. It`s important to highlight that, in the interest of protecting e-money holders from the risk of bank insolvency, the sum total of e-money accounts held with any one universal bank on behalf of a given e-money issuer could not exceed 15% of the net worth of the universal bank. Whenever the threshold is exceeded on average for three consecutive months, the EMI must place any excess float in another universal bank. In the case of a Dedicated E-Money Issuer (DEMI), the terms and conditions of the account should require the float holding universal bank to promptly inform the DEMI when the threshold is exceeded. All these are mitigating factors put in place to protect depositors. For example, if Bank X has a net worth of GHS600m, the maximum amount of floats a bank could hold on trust account was GHS90m. the maximum amount of interest these banks pay is up to 7% per annum, the Telcos receive 20% and pass on 80% to the subscribers. It`s also important and critical to explain what happens when individuals register for MoMo services. The module on which an MNO chooses to host e-wallets during registration process may vary from each MNO. When an individual registers for MoMo services either at the agent, bank branch or with the Telcos, the registration is hosted in a Bank Identification Number (BIN). The conscious effect to grow the BIN is a function of float held for settlements. Some of the MNOs also host their registered e-wallets on their super agents or aggregators’ master wallets. The aggregators’ master wallets are tagged to specific wallets of the banks for e-money issuance. Commercial Banks plays two important roles within the mobile money space; the juiciest aspect is when a bank decides to be a partner bank. With a partner bank status, the bank is mandated by the MNO to hold a Trust account for floats. A bank may also decide to be an agency bank which basically involves the subscriber registration, cash in and cash out services etc. For example, MTN Mobile Financial services have over 10 partner banks. Some of the banks include Standard Chartered, Barclays Bank, Ecobank, Fidelity Bank, Cal Bank etc. As at December 2018, the float on the trust account grew by 13.48% year on year to GHS2.633bn. This figure represents 5% of industry banks’ deposits of GHS60bn. The EMI Guidelines has provided further opportunity for co-operation between banks and MMOs. Besides banks holding float balances of MMOs, they have also partnered with MMOs to offer savings, investment, credit and inward remittance products to MMO clients. Figure 2 below shows Floats on trust account held with commercial banks for the period ending December 2018. The Bank of Ghana regulates, supervises and oversees the activities of the Banks and Specialized Deposits-taking Institutions (BSDIs) to ensure that the banking sector and the payment ecosystem are safe, reliable and efficient. The Bank also focuses on key issues relating to Anti-Money Laundering and Countering Financing of Terrorism (AML/CFT); consumer protection; promotion of competitive practices, assets quality, solvency, liquidity, earnings, systems, control and management of risks with respect to the mobile money sub-sector. According to a report by citinewsroom.com dated 15th June 2018, there were currently over seventy-one (71) Financial Technology (Fintech) firms in Ghana, providing various services to about 21banks in Ghana. 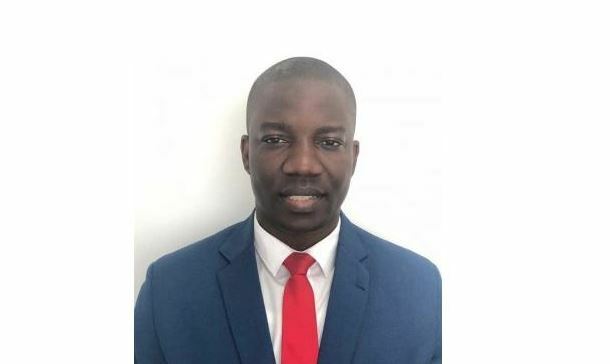 Due to the growing number of these fintechs, the Head of Payment Systems at the Bank of Ghana, Dr. Settor Amediku (speaking at Citi FM and Citi TV’s FinTech Summit in 2018), said the new payment systems law will limit the number of fintechs to be licensed. Notable fintechs in Ghana include Emergent Payment (formerly Interplay Africa), IT Consortium, e-Transact, Expresspay, Zee Pay, PaySwitch etc. The agile nature of these Fintechs makes it possible to deploy solutions quickly as compared to traditional commercial banks. For example, a bank which was not initially charging fees for bank to wallet transfers would begin to do so because the Aggregator is charging very high fees for the connection to the Telcos. Some of the banks’ security policies do allow them to integrate directly with these companies (depending on strategy and nature of service). Direct integrations offer the banks the opportunity to offer mobile money services at a cheaper cost to its customers but this requires strong risk and compliance controls to be in place. The recent development within the mobile financial sector has been made possible by these Fintechs. Most Fintechs have made it possible for Banks to offer cash-out and Cash-in services at ATMs, Card-less withdrawals, Mobile money services on various apps. The major game changing service was the inter-operability service which was successfully deployed by a Fintech in conjunction with the Ghana Interbank Payment and Settlement System (GhiPSS). Though the Fintechs are agile, most of them do not have a well-controlled environment, sanction screening and anti-money laundering capabilities. This makes them vulnerable to external shocks. In other jurisdictions, mobile money services are bank-led. This implies that the e-wallets are managed by the banks. The reverse is the case in Ghana where mobile money services are MNO led which means that the Telcos create and manage and issuance of e-money. Each approach has its own pros and cons. (MNO) is backed by an equivalent amount of Bank of Ghana notes and coins held in a bank to ensure equilibrium in the MoMo market as stipulated in the July 2015 guidelines. The astronomical growth in mobile financials services re-confirms that indeed mobile money has come to stay and based on Cumulative Average Growth Rate (CAGR) figure, all the indicators are likely to double in a few years. This requires the Commercial banks to strengthen their Compliance, Controls, Customer Due Diligence (CDD) and AntiMoney Laundering (AML) units to ensure that risks well managed and reduced to the minimum. The Central Bank must also speed up the new payment system bill which is currently before parliament to help streamline the industry and the ecosystem. The Bank of Ghana must intensify efforts to license the Fintechs for their body to be well recognized. The 3 key stakeholders in the mobile money space should work together to provide incentives to both subscribers and merchants to encourage usage e.g. tariff rebates etc.